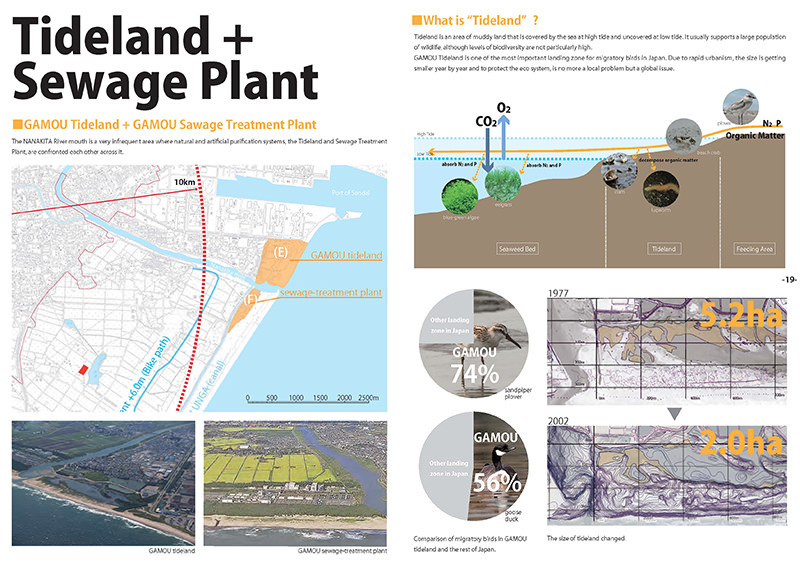 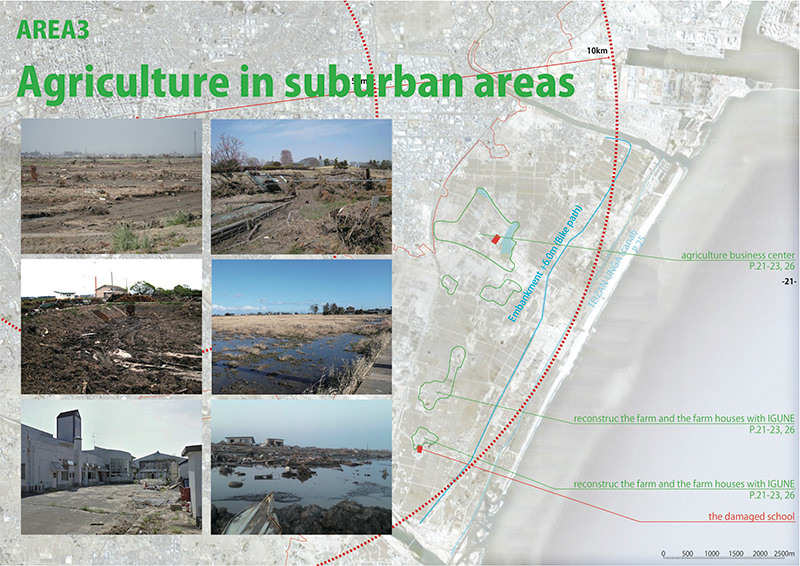 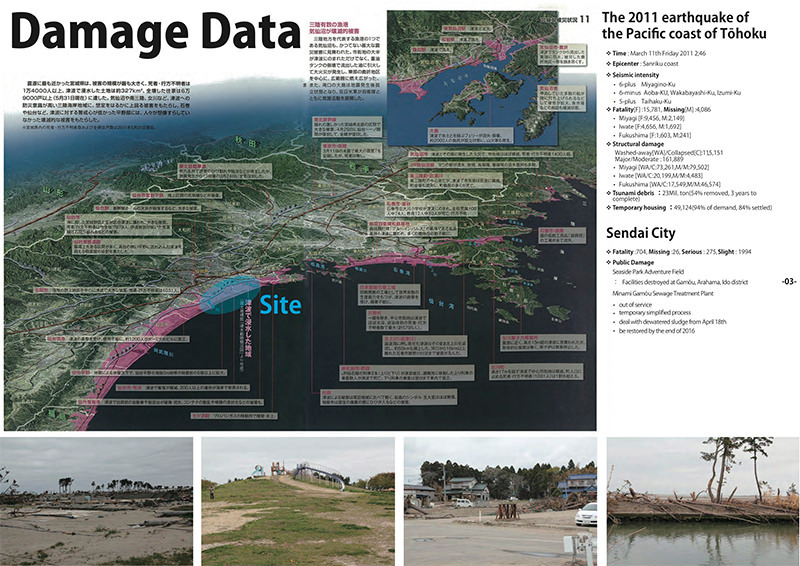 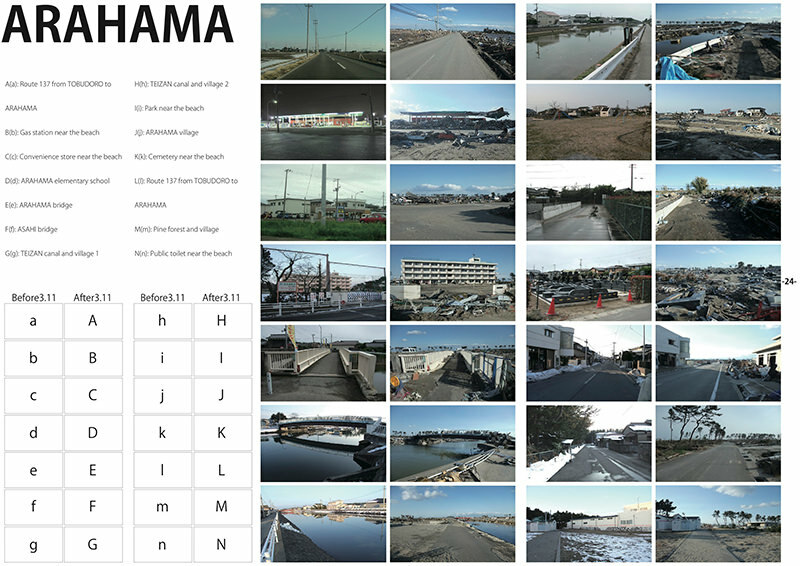 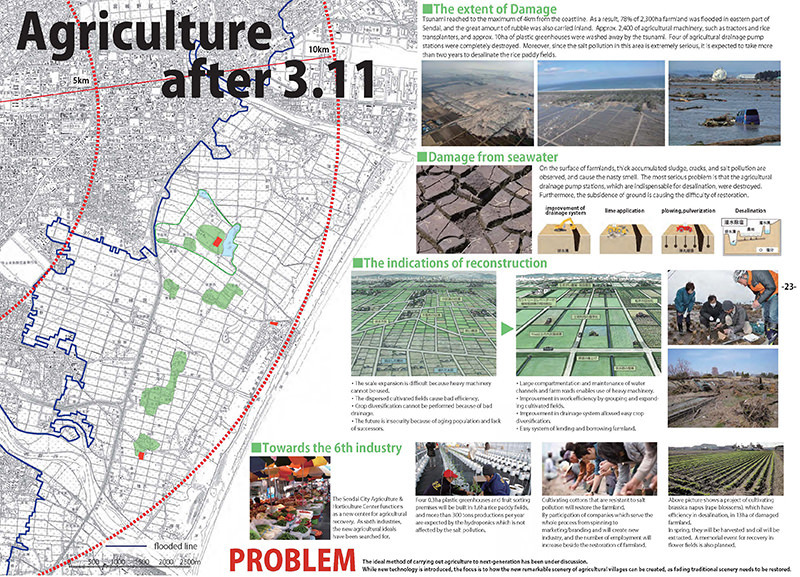 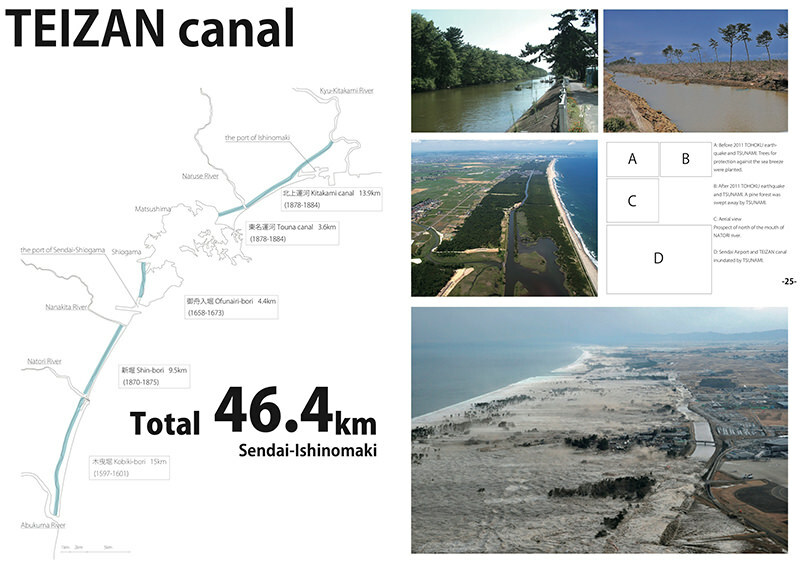 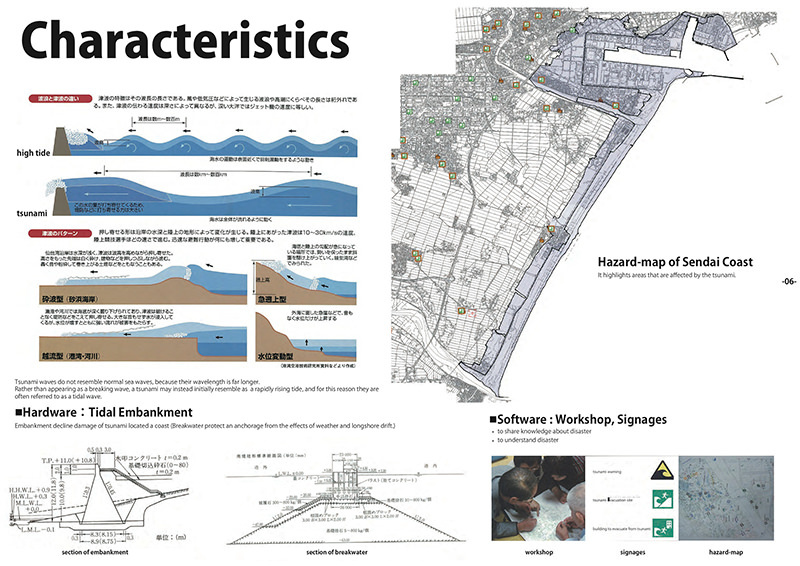 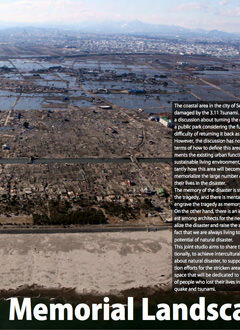 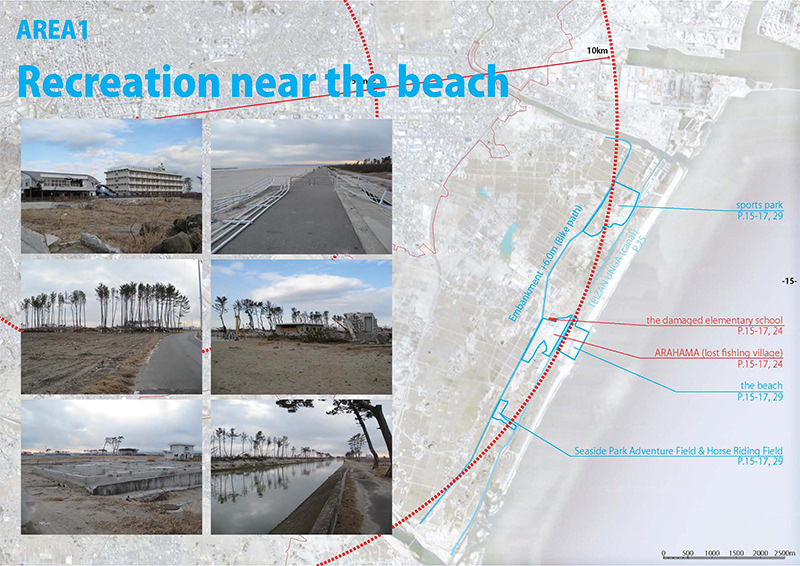 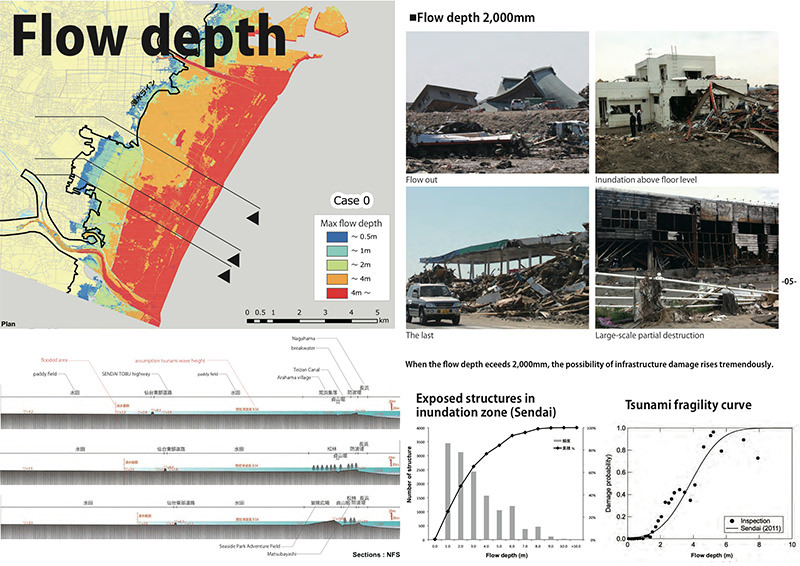 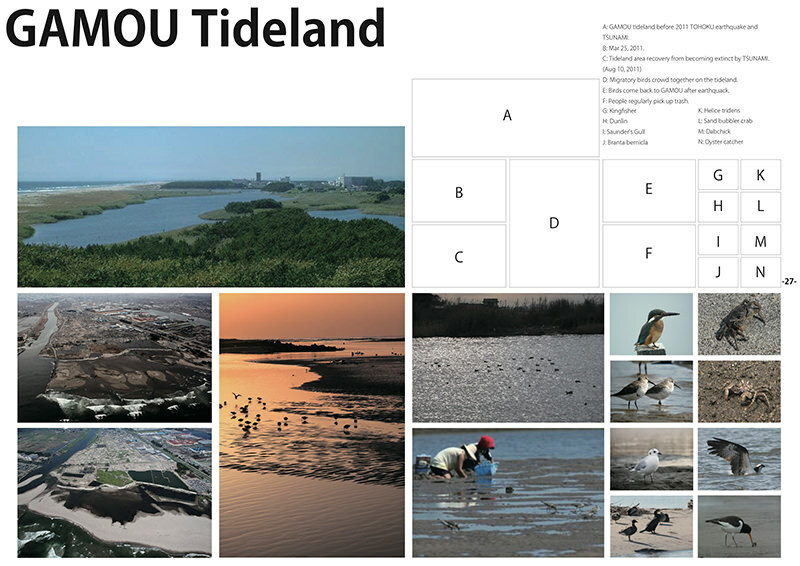 The coastal area in the city of Sendai was hugely damaged by the 3.11 Tsunami. 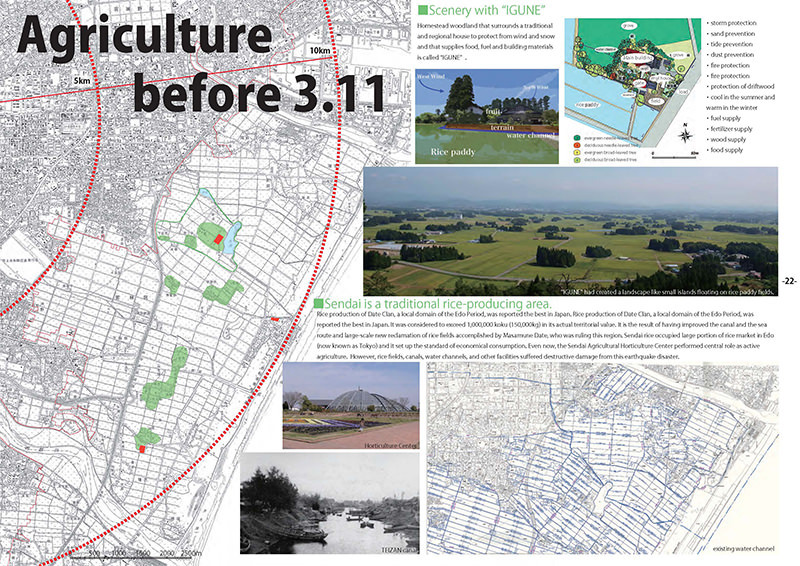 As a result there is a discussion about turning the damaged land into a public park considering the future risks and the difficulty of returning it back as residential area. 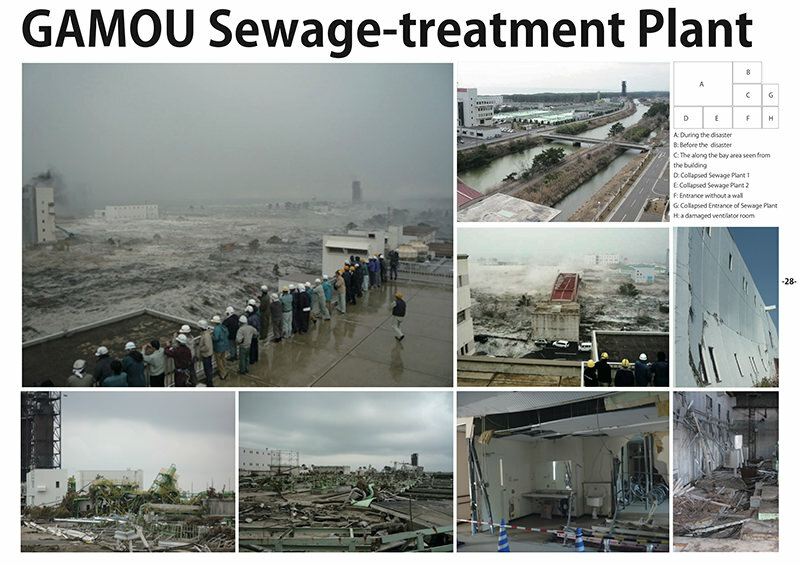 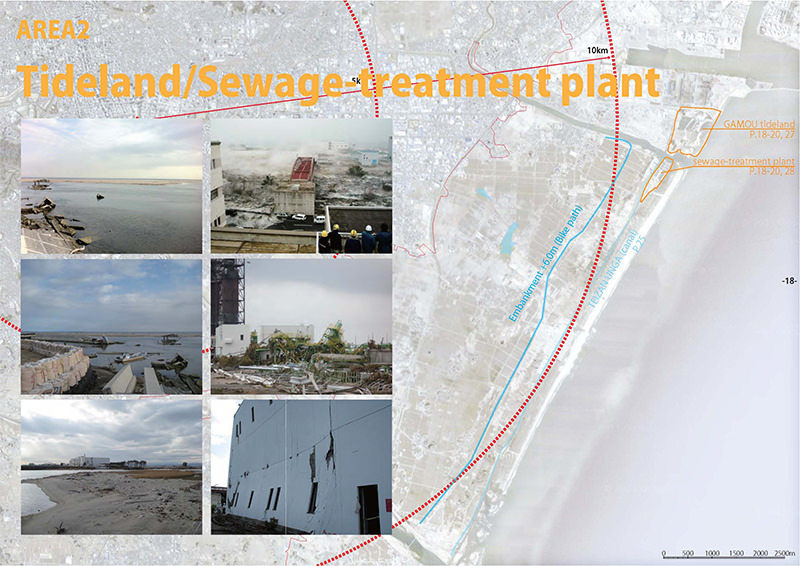 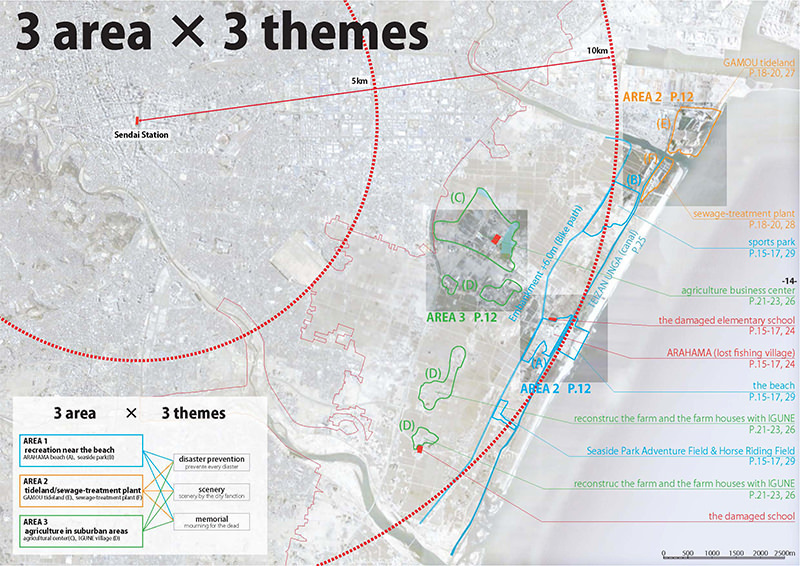 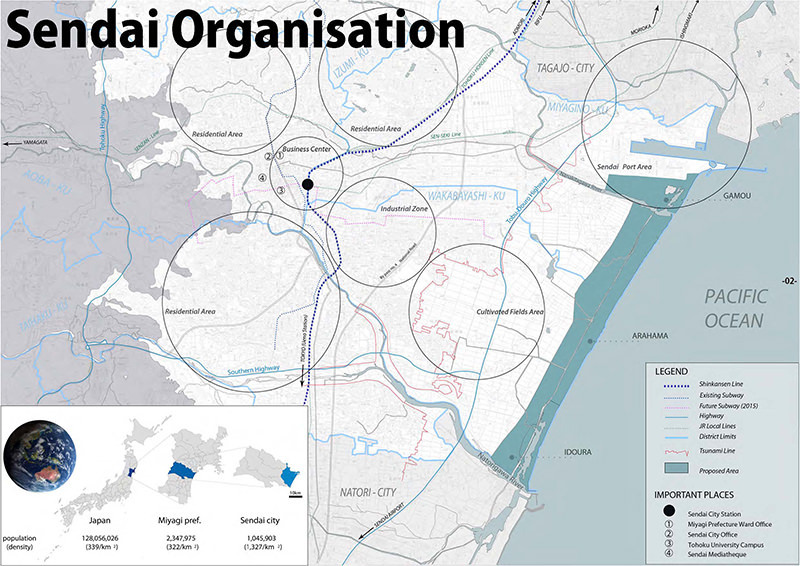 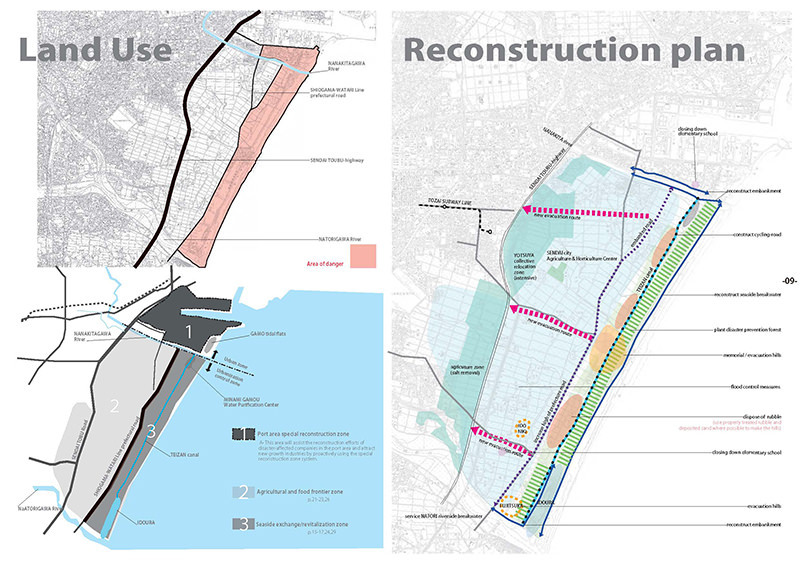 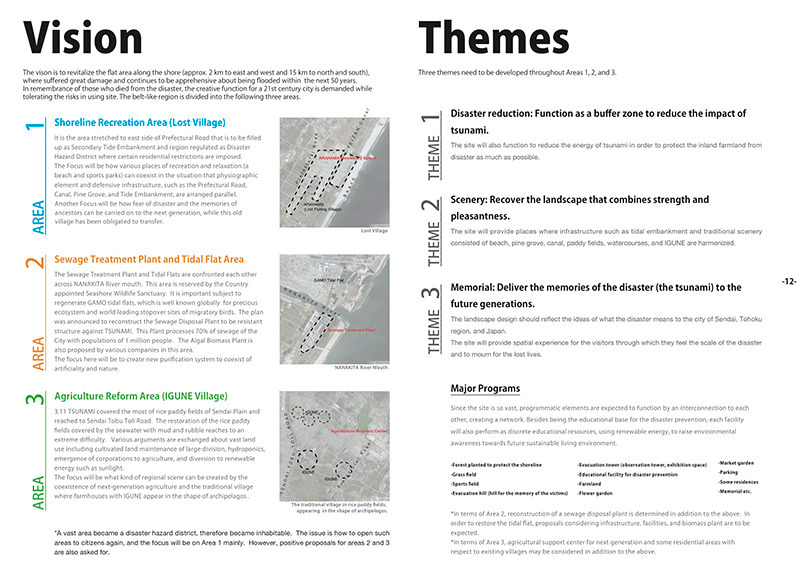 However, the discussion has not started yet in terms of how to define this area so that it supplements the existing urban function to become a sustainable living environment, and also importantly how this area will become the place to memorialize the large number of victims who lost their lives in the disaster. 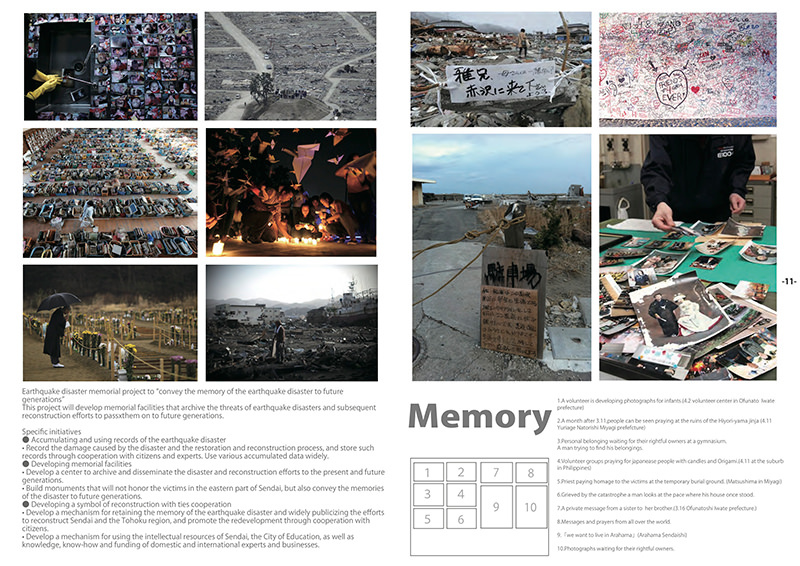 The memory of the disaster is still fresh and recalls the tragedy, and there is mental resistance to engrave the tragedy as memory. 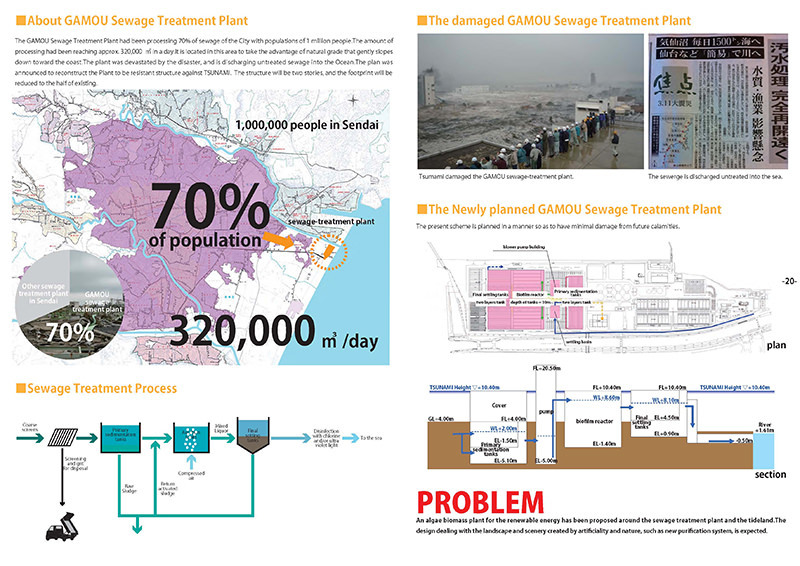 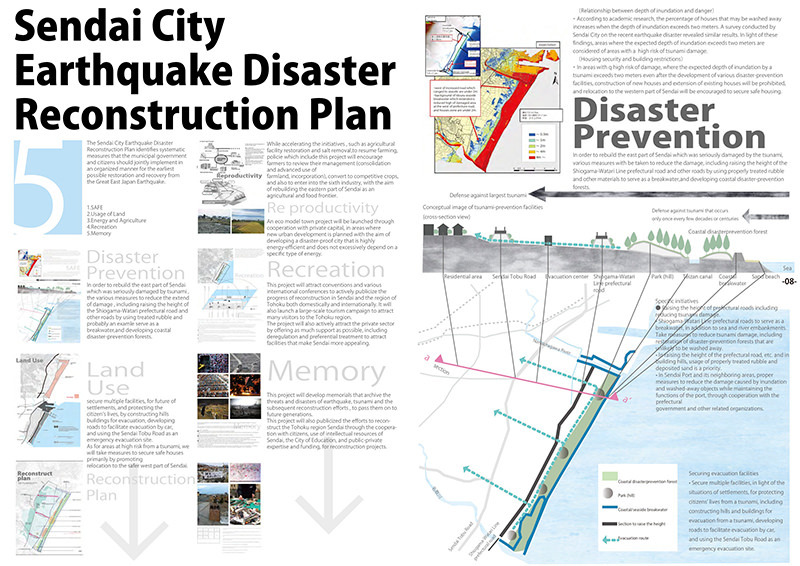 On the other hand, there is an international interest among architects for the necessity to memorialize the disaster and raise the awareness of the fact that we are always living together with potential of natural disaster. 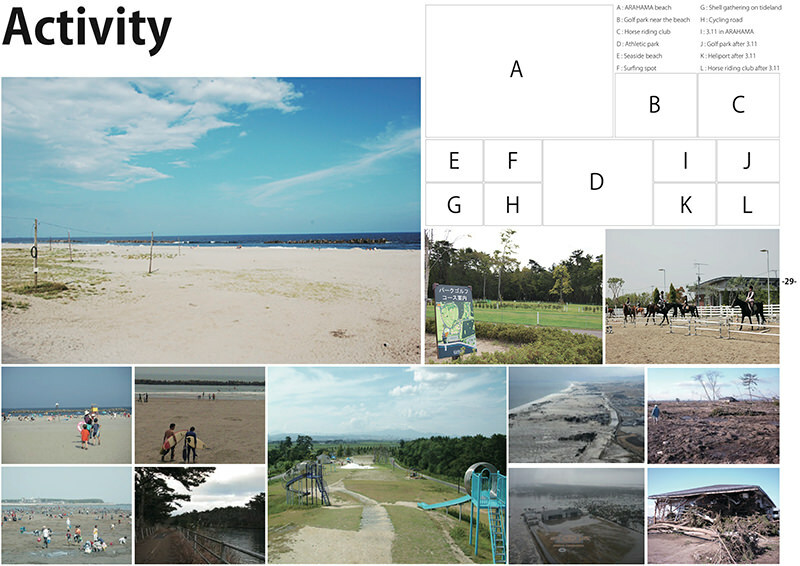 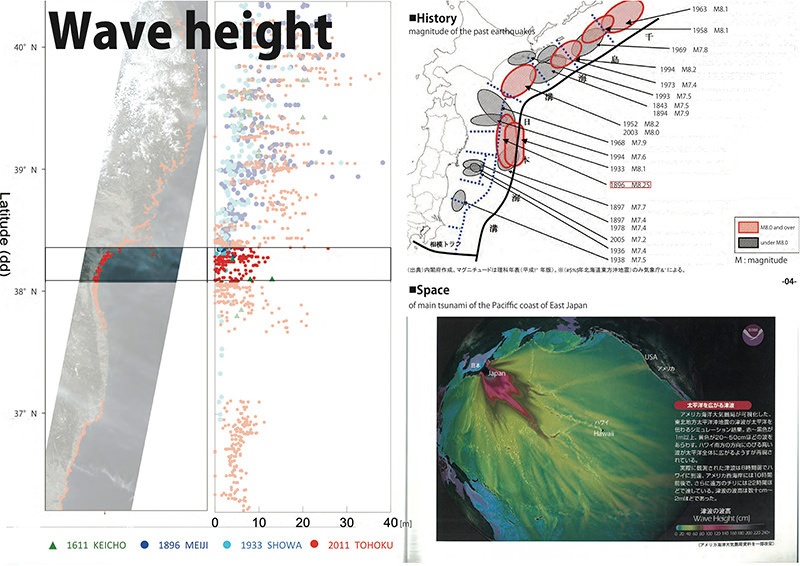 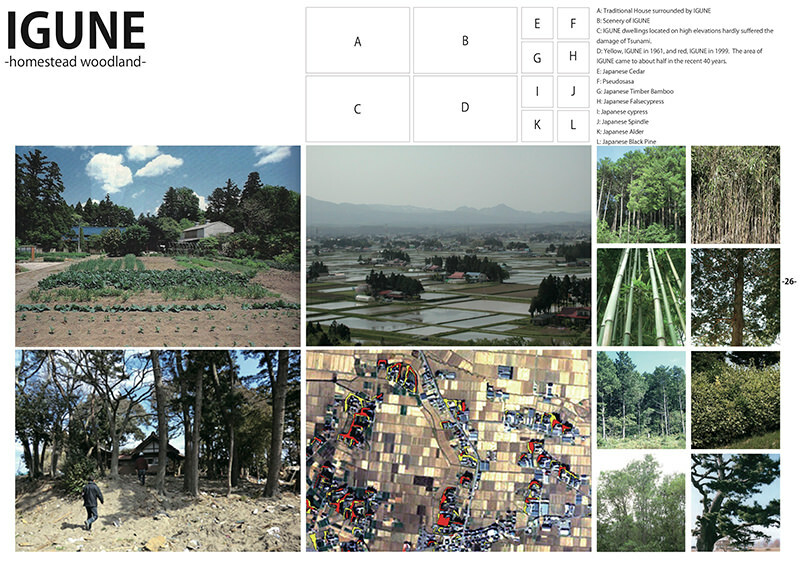 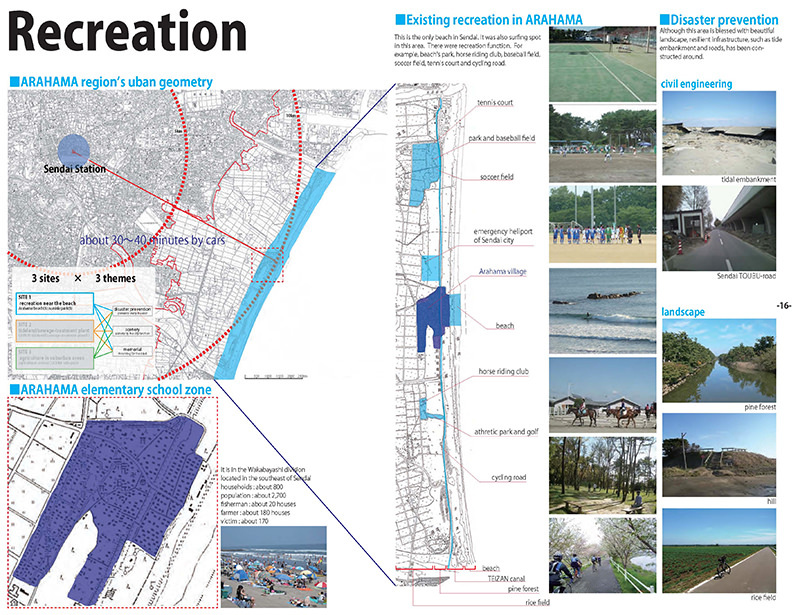 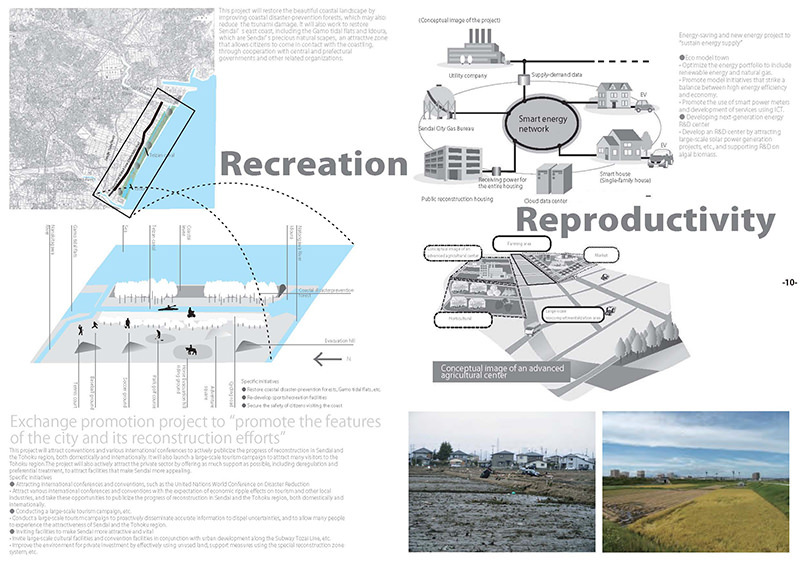 This joint studio aims to share this issue internationally, to achieve intercultural understanding about natural disaster, to support the reconstruction efforts for the stricken area, and to imagine a space that will be dedicated to the large number of people who lost their lives in the 3.11 earthquake and tsunami.